The dilemma for many families at Columbine is ours as well. For months they have searched for answers. "It's not going to bring anything or anybody back," says Mike Kirklin, whose son survived a shot in the face. "But we do need to know. Why did they do this?" Still, the last thing the survivors want is to see these boys on the cover of another magazine, back in the headlines, on the evening news. We need to understand them, but we don't want to look at them. And yet there is no escaping this story. Last week another child shot up another school, this time an Oklahoma junior high where four were injured, and all the questions came gushing out one more time. 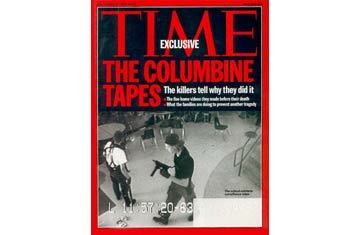 At Columbine, some wounds are slow to heal. The old library is walled off, while the victims' families try to raise the money to replace it by building a new one. The students still have trouble with fire drills. Some report that kids are drinking more heavily now, saying more prayers, seeing more counselors--550 visits so far this year. Two dozen students are homebound, unable, whether physically or emotionally, to come back to class yet. Tour-bus groups have changed their routes to stop at the high school, and stare. Some people have found a way to forgive: even parents who lost their beloved children; even kids who won't ever walk again, or speak clearly, or grow old together with a sister who died on the school lawn. But other survivors are still on a journey, through dark places of anger and suspicion, aimed at a government they fear wants to cover up the misjudgments of police; at a school that wants to shift blame; at the killers' parents, who have stated their regrets in written statements issued through their lawyers but who still aren't saying much and who surely, surely had to know something. It's easy now to see the signs: how a video-game joystick turned Harris into a better marksman, like a golfer who watches Tiger Woods videos; how he decided to stop taking his Luvox, to let his anger flare, undiluted by medication. How Klebold's violent essays for English class were like skywriting his intent. If only the parents had looked in the middle drawer of Harris' desk, they would have found the four windup clocks that he later used as timing devices. Check the duffel bag in the closet; the pipe bombs are inside. In his CD collection, they would have found a recording that meant so much to him that he willed it to a girl in his last videotaped suicide message. The name of the album? Bombthreat Before She Blows. The problem is that until April 20, nobody was looking. And Harris and Klebold knew it. The tapes were meant to be their final word, to all those who had picked on them over the years, and to everyone who would come up with a theory about their inner demons. It is clear listening to them that Harris and Klebold were not just having trouble with what their counselors called "anger management." They fed the anger, fueled it, so the fury could take hold, because they knew they would need it to do what they had set out to do. "More rage. More rage," Harris says. "Keep building it on," he says, motioning with his hands for emphasis.